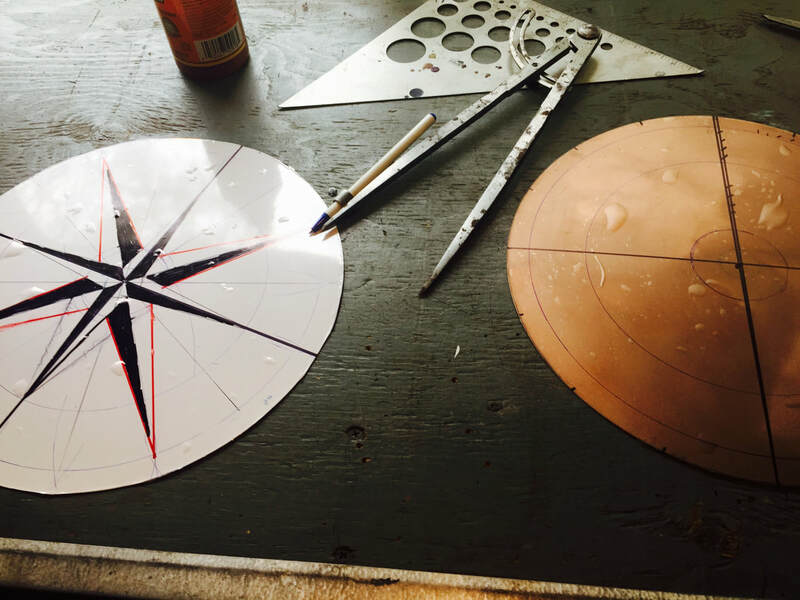 Each copper wall piece is designed for interiors and the patinas are created through the use of salts and acids. Seen here: Copper being fumed in ammonia. For the best prices, visit our showroom in Tiverton 4 Corners! Patina Studio is located at Peter's Attic Antiques building. Measures: 25" x 9" x 1/2", Hangs either horizontally or vertically. Free Shipping in Continental US. Measures: 24 3/4" x 9" x 1/2", Hangs either horizontally or vertically. Free Shipping in Continental US. This piece is part of the 2018 salvage. Originally downspouts from a Providence, RI Mansion. The lines seen here are "memories" of where the copper was once bent at an angle. We have unfolded them (carefully) and reformed the metal to creat this work of art. The patina is natural and the result of over 100 years exposure in nature. You can just barely see some remaining crackingwhite paint on the bottom of the piece. I've tried to present the colors as close to actual as possible but every monitor will show slightly different. Measures: 26" x 8 3/4" x 1/2", Hangs either horizontally or vertically. Free Shipping in Continental US.